A tri fold travel kit that contains everything you need to sketch on the go. Take your creativity wherever you go with some of these tri-fold pads. 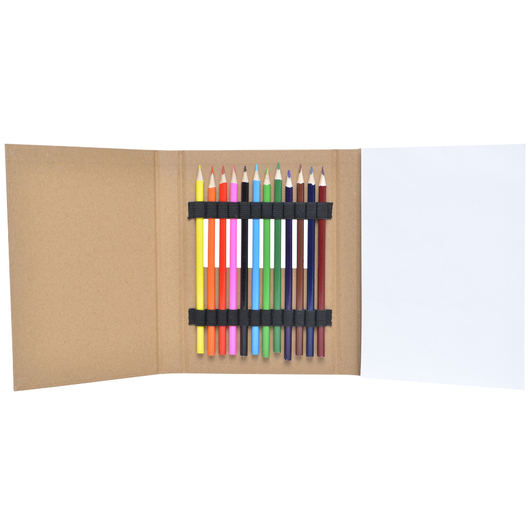 They are made from recycled cardboard and include 12 coloured pencils as well as a 50 page plain page pad. 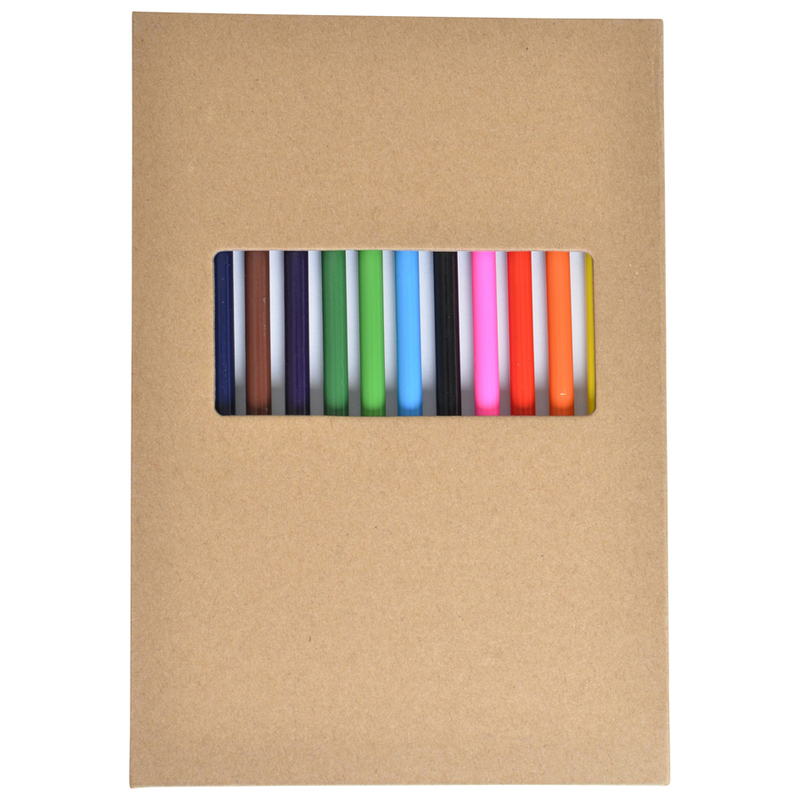 The pencils are 100% lead free and are held securely in place with individual elastic loops. 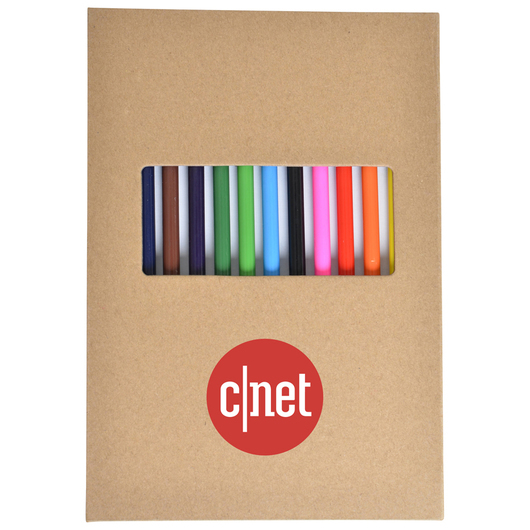 They also feature a prominent area for your logo, making them a wonderful promotional giveaway item.